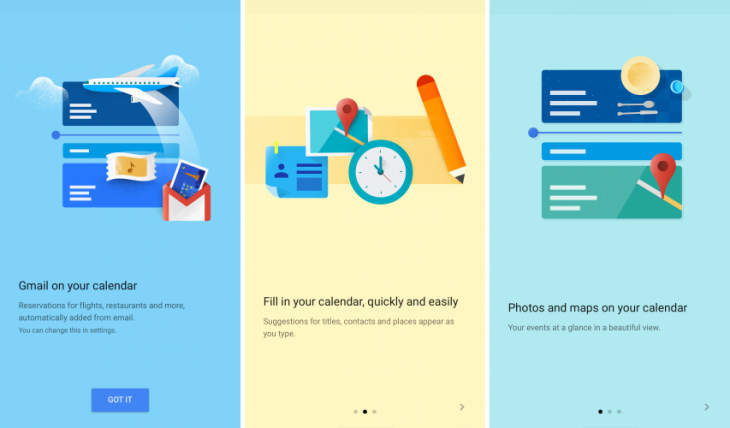 Back in November last year, Google ushered in a fully revamped calendar app for Android devices with a promise of one day bringing the changes across to iOS too. Now, it appears that new version is nearly ready for the prime time, as one tipster has leaked us screenshots of how the new app currently looks. Just like the Android version, the brand new iOS app seems like it’ll be adding photos and map info straight to your calendar. This will be the first time Google has offered a dedicated iOS app for Calendar, and it looks rather snazzy indeed. We’ll have to wait for a full release to find out about other features, but with image leaks now springing up, it shouldn’t be too long before it lands in Apple’s App Store. We’ve asked Google for official comment on the app’s arrival date but hadn’t heard back at the time of publishing. We’ll update if we hear more. These screenshots had been edited to remove personal details when we received them.